So, I decided to make donabe rice dish with tomato juice! 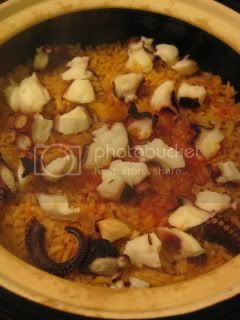 It was Octopus & Tomato Rice (Tako Tomato Gohan). Of course, for the best result, I used my double-lid donabe rice cooker, "Kamado-san", to make this dish. And, the choice of rice was Anson Mills' Carolina Gold Rice, which is very fragrant heirloom hand-picked rice. First, over medium+ heat, I sauteed shallot (1 small, minced) and garlic (2 cloves, minced) in 1T olive oil in Kamado-san, then added 2 rice cups (360 ml) rice and sauteed a little more. 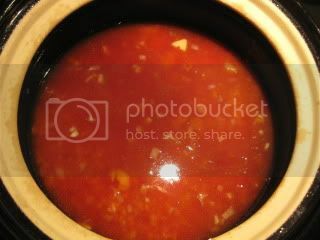 Then, I added a mixture of 200 ml vegetable stock, 100 ml tomato juice, 2T sake, 2T light-color soy sauce, and a tiny pinch of salt. Donabe was covered with both lids, and continued to be cooked over medium+ heat for 12-13 minutes. 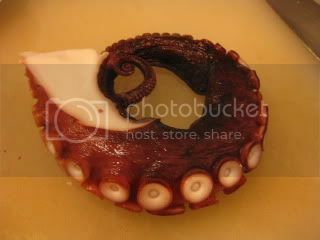 Meanwhile, I got a boiled octopus legg (about 9 oz) and cut it into oblique pieces. Once I turned off the heat, I quickly opened lids to add the octopus pieces, then quickly put the lids back on again. 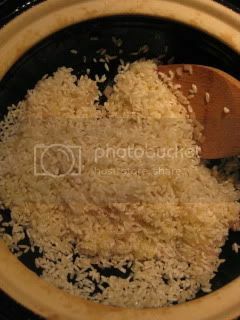 The rice was rested in donabe for 20 minutes. 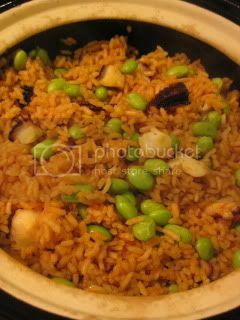 Once the rice was ready, I added about 2/3 cup of cooked shelled edamame and tossed with the rice. 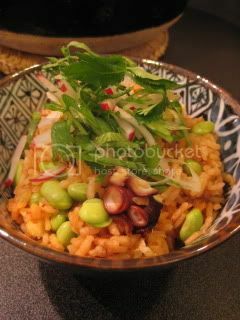 Rice was served into bowls and topped with herb mixture (mitsuba, shiso, and scallion). It was so delicious! The flavor was perfect especially with the very light-fluffy Anson Mills' rice. I had two huge bowlfuls of it.